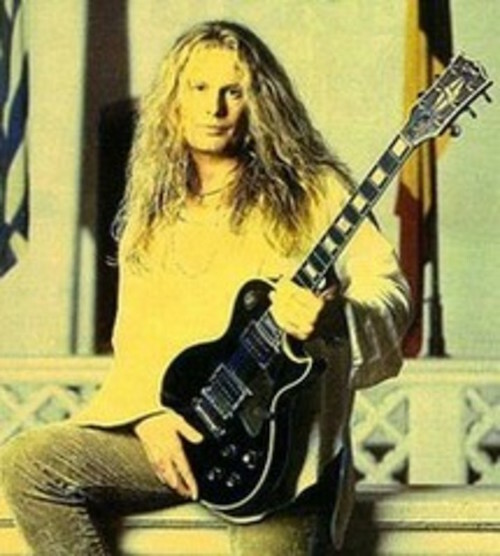 Legendary English guitarist John Sykes (Tygers Of Pan Tang, Thin Lizzy, Whitesnake, Blue Murder) will release his first album in 19 years later this year through Golden Robot Records. The as-yet-untitled disc (its previously announced title of “Sy-Ops” has now apparently been scrapped) is expected to include such tracks as Dawning Of A Brand New Day, Believe In Yourself, “My Guitar“ and Out Alive“. Sykes added that his first album since 2000’s Nuclear Cowboy will live up to his fans’ expectations. “People who like what I did on the 1987 [self-titled album] from WHITESNAKEand the two studio records from BLUE MURDER” will be pleased by the new material, he said. John recently played on a Gary Moore tribute album, on the song, Still Got The Blues (For You), which can be heard, here. Guy must be set for life financially since he hasn`t made any music in quite sometime. This album is turning out to be like chinese democracy as far as how long its taking to release it. I hope it does come out this year and he backs it up with a tour. He`s one of the few I haven`t seen live dammit,lol. Yes, he lives very comfortably off the royalties of the ’87 Whitesnake album. I am thrilled for him, as he is great songwriter, but as uber fan, very frustrating. I know that Dana is super excited about this one. Here I go again, hoping that promised and awaited [music] comes out. Come on John, don’t leave me cryin’ in the rain. No worries, you always have my back, so I have yours.